Kiteboarding is a relatively new sport that has changed the world of high performance sailing and taken it to a whole new level. The sport’s lightweight kites and handles have developed quickly over the past few years. Going from the original two-line kites to four-line was a huge step in performance and ease-of-use. Most kites have air bladders on the leading edge for re-launching in deep water conditions. 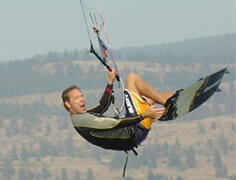 Quick releases on the kite and harness offer extra safety. 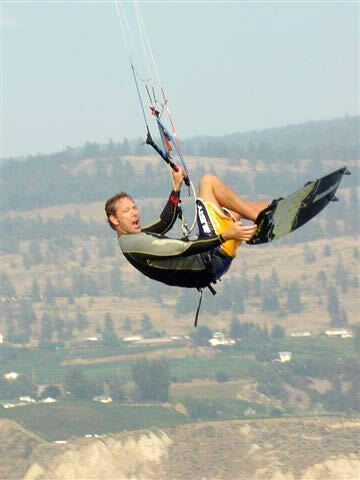 Kiteboarders can launch themselves high into the air by pressuring the board on edge and trimming the kite to its maximum potential to create lift. The height and hang time cannot be replaced by any other water sport except parasailing. As with windsurfing, you need a few kite sizes and a few different boards to accommodate varying wind speeds and water conditions. The kiteboard uses both directional and twin-tip designs with foot straps or high-wrap performance bindings. 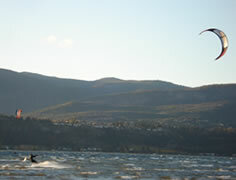 Local kiteboarders prefer southwesterly, onshore breezes in the 12 to18 knot range, often found off Rotary Beach. When a strong northerly breeze is blowing, they prefer to sail off Manhattan Point near its lighthouse. 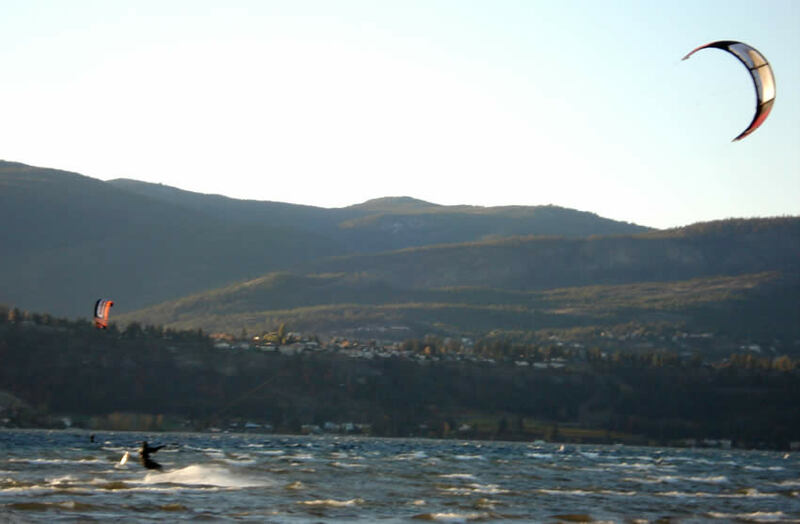 Many among K-town’s kiteboarders were windsurfers looking for a bigger adrenaline rush! Head down to Rotary Beach on a windy day and enjoy watching talented sailors launch themselves high into the sky. 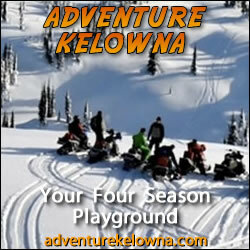 Check back soon for for new kiteboarding updates, photos and videos. 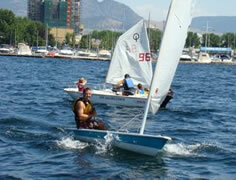 In this section of the website we have information on sailing and windsurfing.